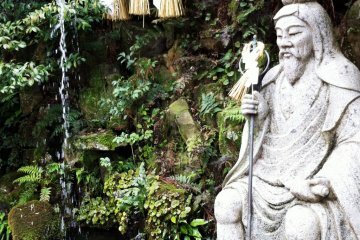 From the mountains to the seaside, Ehime Prefecture is known for its natural beauty. 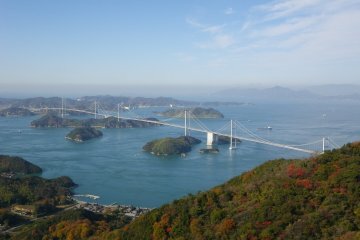 Although Eastern Ehime is known for Mt. 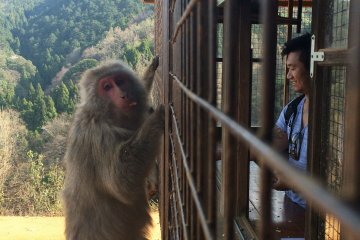 Ishizuchi, the region offers plenty of other opportunities to enjoy the outdoors, even for the less adventurous. Mt. 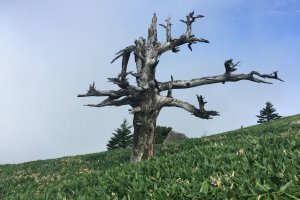 Kamegamori, though less well-known than Ishizuchi, is a short and relatively easy climb that still provides an amazing view of the surrounding mountain range. 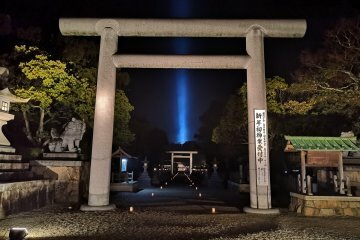 It is also listed as one of the 300 Famous Japanese Mountains, and along with Mt. Ishizuchi and Mt. 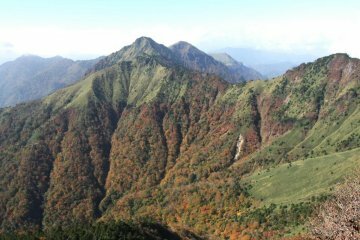 Sasagamine, it is one of the "Three Peaks of Iyo”, these mountains in Ehime are renowned for their natural beauty. 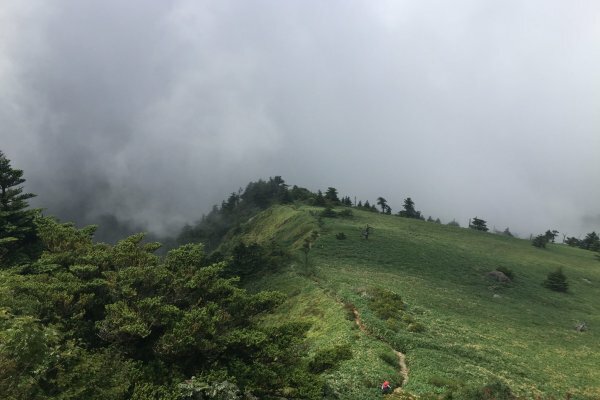 Standing at an elevation of 1,896 meters, Kamegamori is only slightly shorter than Ishizuchi, but the hiking route is far more manageable for novices. The trailhead is located at 1,670 meters, leading to an overall elevation gain of about 230 meters. 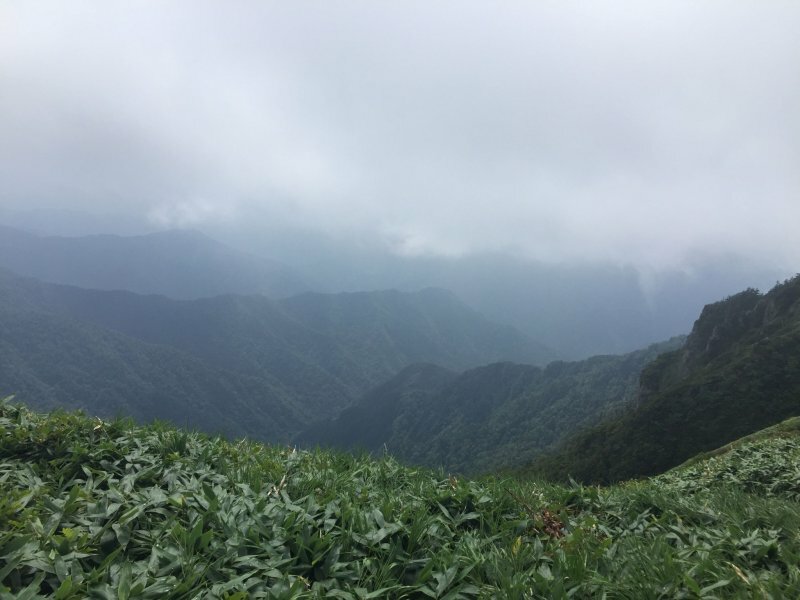 The first summit, Otokoyama (literally, ‘Man Mountain’) stands at 1,838 meters, and from there it’s only a short jaunt to the mountain’s highest point, Onnayama (‘Woman Mountain’), at 1,896 meters. 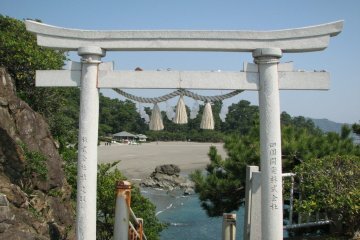 The easiest way to reach Kamegamori is by car. Take the Iyo-Saijo expressway and then take the exit for the Mt. Kamegamori hiking route. 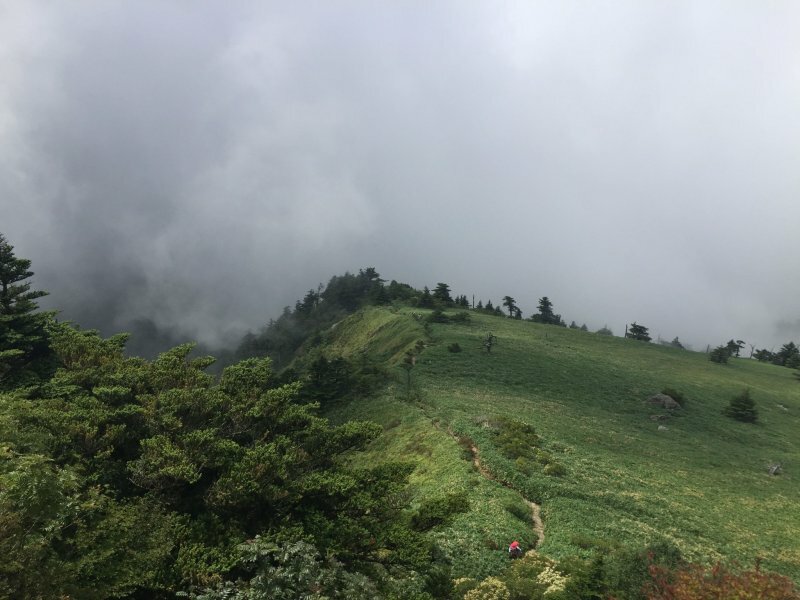 Both times I’ve climbed Kamegamori, the weather was not in our favor. 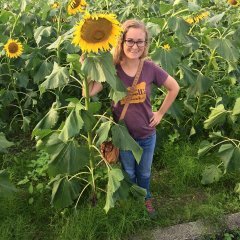 I’ve heard rumors that on a clear day, you can see the peak of Mt. Ishizuchi from the top of Kamegamori, but the mountain I know is one veiled in mist and threatening rain. 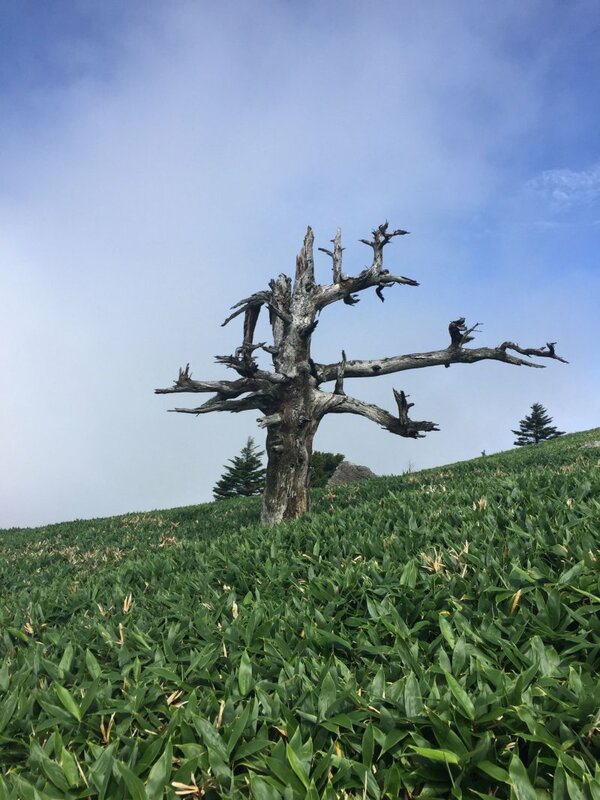 The cloud coverage provided a welcome reprieve from August’s oppressive heat, though, and it lent an air of mystery to the thick field of bamboo grass that blanketed the mountain’s slope. The route itself, even in the rain, is pleasant. A climb up a steep slope covered in brick and blocked from view by bamboo grass can be slick and tricky to navigate, but hand ropes provide hikers with assistance. The rest of the route is smooth hiking. 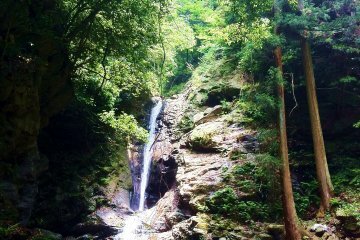 The Kamegamori hiking route takes about three hours round trip. 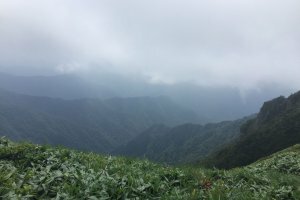 A hiking hut on the mountain’s peak provides ample opportunity for taking photographs and enjoying a packed lunch, and hikers can spot wildflowers native to the region as they climb. A short and relaxed trek, Mt. 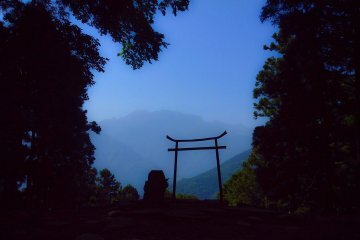 Kamegamori offers beautiful scenery and an enjoyable afternoon for hikers of all ages and abilities.